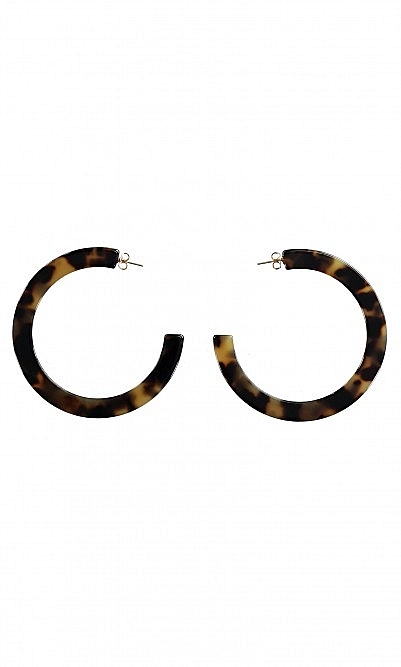 Statement earrings from Paris made from tortoise shell like resin. Open-back in an exaggerated size. Dia 7cm. Easy to wear, for pierced ears only.